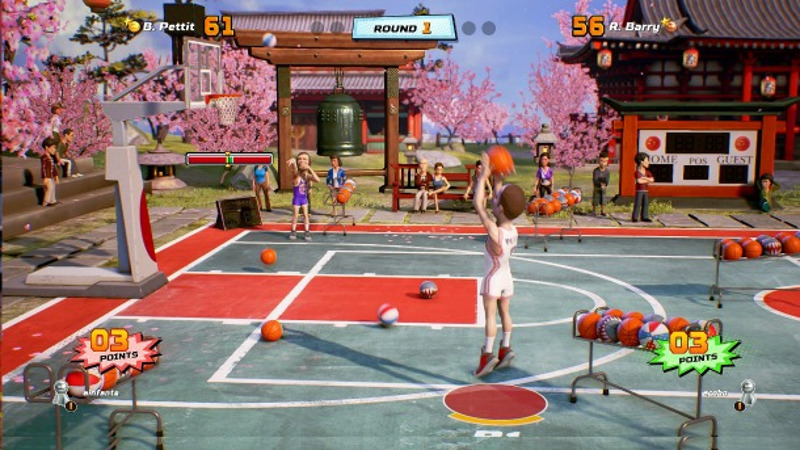 With two significant patches already out for NBA Playgrounds the development team at Saber Interactive has been working towards another content update which is already out on PS4 and PC and expected soon for Xbox One. Featured in the latest patch is a brand new online three-point shootout mode and another 33 new players. Those include additional versions of current players plus legends from the past including Tim Duncan, Baron Davis, Jerry West, and Elgin Baylor. Also notable is that packs are said to be better balanced to reduce the number of duplicate players received and a new rebounding system has been introduced. Earlier patches have added 50 players, the Seattle Sonics as a team, and four tournament locations while improving gameplay by implementing a shot meter and reducing inbounding wait time. The Nintendo Switch finally got the first of the two patches earlier this month. It’s no surprise that this new patch is out first for PS4/XB1/PC with no clear timetable on when to expect it for the Switch version.